The stage that many tourists are curious about when they visit Rome is definitely the Coliseum. Built in the year 72 a.C. at the order of Flavia dynasty, the Flavio Amphitheatre, which could host an audience of 150 000, was the stage for a big variety of games, such as animal fights and gladiators combats, but also more cruel events, such as beasts tearing convicts. From Coliseum, you can walk towards the majestic archaeological area of the Roman Forum, which was once the political, economical and religious heart of Rome. It’s useless to deny it, one of the most Roman attractions in the last few months in Rome is not the visits to see the Colosseum, and not the events that happen in the moonlight, however it is seeing the new Pope. He is why so many want to come to Rome to see him and possibly touch him. In this post, we want to make a point of the hours of the Vatican Museums in 2014, and the hours of the Holy Mass audiences. Are you ready? Follow us! With the arrival of Spring, Rome incredibly becomes even more beautiful. It’s almost impossible to believe that Rome can be even more beautiful than usual, but this transformation makes this city in Lazio, especially in this period, tinted in rose, almost becoming a painting in the open sky. Today we do not want to tell you about Pincio or Villa Borghese, but a small place unknown to many, that every year gives us the gift of marvellous colours to see: we are at The lake of Eur. 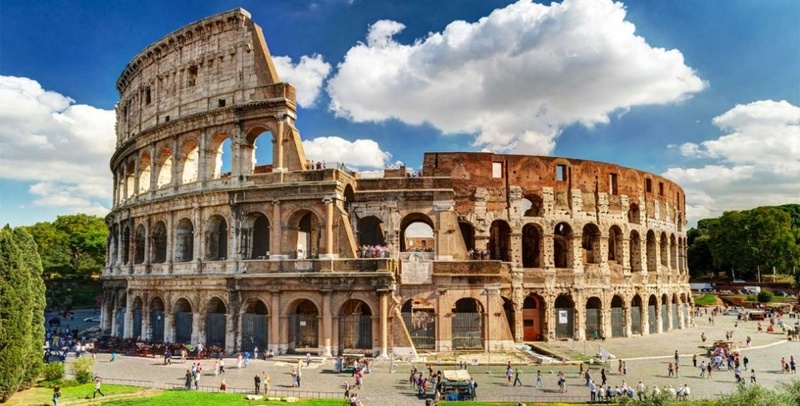 Eur, is an area of Rome, mainly known for its work related zone. Here ,you will find many administrative offices for many agencies in Rome., however that is not all you will find. There are many large homes, buildings and structures, and to say they are romantic or pretty, there is just about little or nothing. EUR is distinctively different from the streets of Trastevere, from the green of Villa Borghese or the splendour of the Vatican. However , at this time of year, it is one of the most beautiful places in Rome. We confirm, Rome is one of the most beautiful cities in Rome, and this we say because we are a bit partial, but we bet that you think so too. Today , we want to speak about three places in Rome. Three places for three different excursions during your three day weekends , leaving from Rome. In first place, for a Spring weekend, we put a trip to Ostia. Even though Rome is both a metropolis and a bustling city, just a few miles away you will find the sea. We admit, the sea on the Lazial coast is not as beautiful as the sea in Sardinia or in Puglia, for example, however we understand that. Still, we are proposing a day trip, not a swim in Ostia. 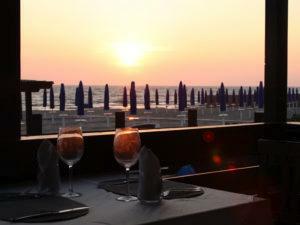 A trip to the sea, on a hot day in Spring, means a fish lunch, eaten outside by the waves, followed by a cocktail watching the sun set. What else could you want during a vacation in one of the most beautiful places in the world? You can get to Ostia easily, even from the center of Rome, by public transport. A few steps away from our Bed and Breakfast you will find the Saint Peter cathedral and the Vatican museums. Here, you can admire the marvelous frescoes of Raffaello and Michelangelo, and an exceptional collection of art d’oeuvre gathered by the Popes along the centuries. Walking along the Via della Conciliazione (The Street of conciliation) coasting the Tevere, the mythical river that always accompanies life in Rome, you will reach Sant’Angelo Castle.